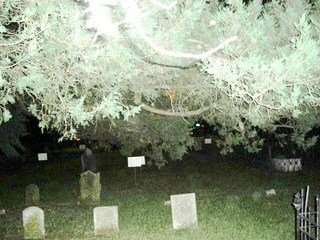 One of the most haunted St Augustine spots is the Huguenot Cemetery located just a short distance from the old city gate, and across from the ever-popular “Old Fort” as dubbed by locals of the “Nation’s Oldest City”. In the year of 1821, this cemetery opened due to the fact that there was a need to have a location where individuals who were not Catholic could be buried. In addition to this, there was a severe outbreak of yellow fever in the St. Augustine area, and these individuals needed a place to rest as well. Originally owned by the famous Rev. Thomas Alexander of the area, he sold it to the Presbyterian Church in the year of 1832. By the 19th century, it was deemed appropriate to close the cemetery due to overcrowding, and open others around the city to accommodate the public. However, due to the real ghost stories that seem to occur here, this part of haunted St Augustine is still very appealing to the public. Judge John B. Stickney is one of the most popular individuals buried in this haunted cemetery. This individual came to live in the area of this coastal city shortly after the end of the Civil War. When he came to live here, he brought along his three children, but his wife had recently passed away. As time passed, he became well-known and well liked by many in the area. He was known to offer free legal advice, as well as free legal services. On a business trip north, the famous judge met his fate by contracting the yellow fever outbreak of the time. He died in the year of 1882. He was laid to rest at the popular Huguenot Cemetery of St. Augustine. As time passed, and his children became adults, they decided to relocate to the north. They called for the city of St. Augustine to have the body of their father exhumed so that it could be transported to the area where they resided, and buried there. An unfortunate event occurred during this process, though, when a couple of thieves came and pulled out the gold teeth that the judge had. In addition to this, they also took other valuables that belonged to Judge Stickney. Today, this judge is believed to still reside in spirit at the haunted graveyard. He sometimes sits in a tree, while other times, he is seen walking around the grounds, as if he is looking for something. While all accounts claim that he appears to be friendly, he definitely does not appear to be happy. There are several ghost tours in and around the city of St. Augustine that allow tourists to visit the Huguenot Cemetery and learn all about the history, as well as some of the hauntings there. In addition to this, you can choose to walk around the grounds and take ghost pictures and ghost videos yourself! Do not be surprised if you feel a slight touch, capture a floating orb, or catch a glimpse of a shadow while visiting this haunted St Augustine paranormal hot spot. Do not be afraid, though, all the spirits here seem to be friendly, although some may act a little on the “prankster” side! Take a walking tour, ride, or sail!